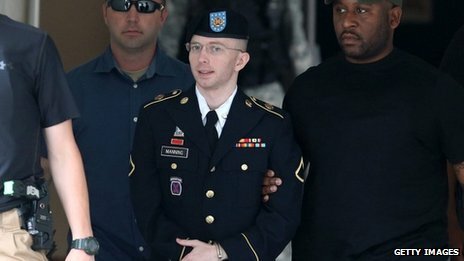 The US Army private Bradley Manning, who leaked thousands of classified documents, has been convicted of espionage but not of aiding the enemy. Private Manning has been convicted of 20 charges in total, including theft and computer fraud. In addition to multiple espionage counts, he was also found guilty of five theft charges, two computer fraud charges and multiple military infractions.